The "Exchanger" application enables the changing of banknotes of different currencies into one basic currency (banknotes and coins). The adjustable exchange rates and the stored exchange fee are thereby displayed on the user oriented desktop. Several banknotes of different currencies can entered one after the other without sorting. The converted cash-out sum is displayed in the basic currency on a large LC-Display with the exchange fee already deducted. In order to avoid residual amounts that cannot be cashed out, the exchange fee must be mathematically adapted accordingly. The exchange process is then started by clicking on the OKAY button once. The customer receives his banknotes and coins in accordance with the calculated cash-out sum plus receipt. 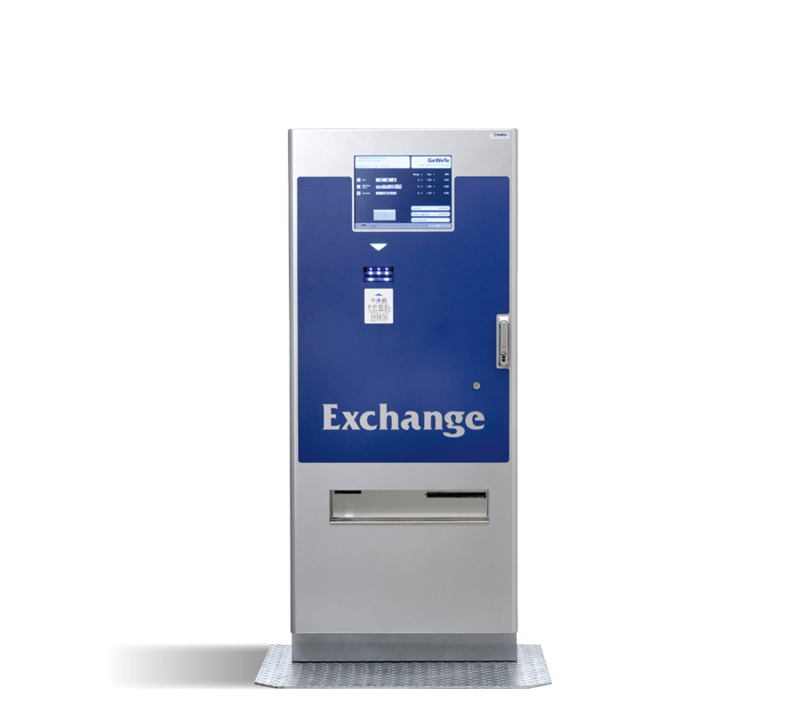 For accounting and the adjustment of exchange fee and exchange rate a separate user interface can be invoked on the machine. The statistics of the machine can be printed out with the integrated printer. The sales statistic is saved to a USB-stick at the same time. The hard- and software of the "Exchanger" system is, as is necessary for this kind of machine applications, of very robust design. Years of experience in the development and production of thousands of machines is reflected by this application.